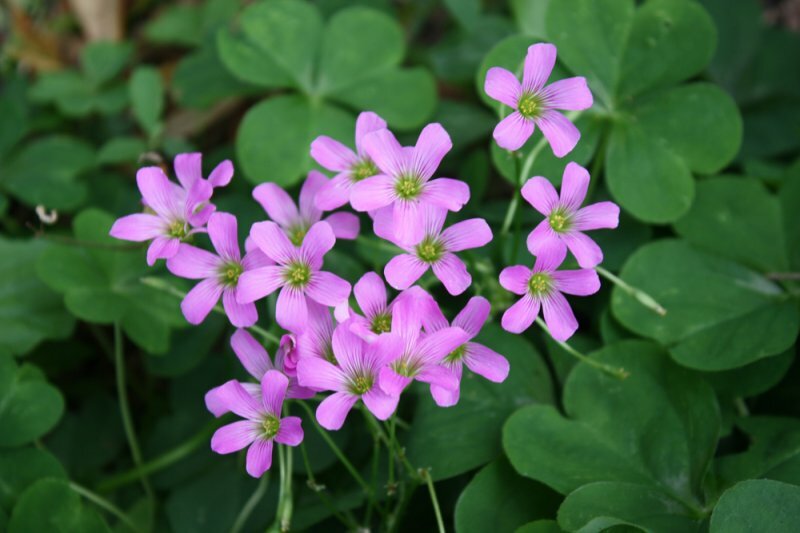 Oxalis Pink Flowering, Wood Sorrel, Green Leaf Shamrock Plant. 5 Bulbs. 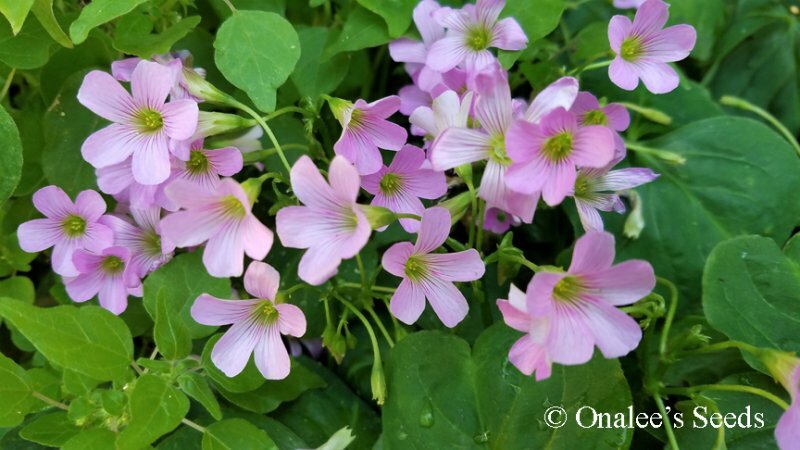 These plants have green, three-lobed, shamrock leaves and the cutest little pink flowers that bloom from spring to fall (or all year long if you bring them inside!). 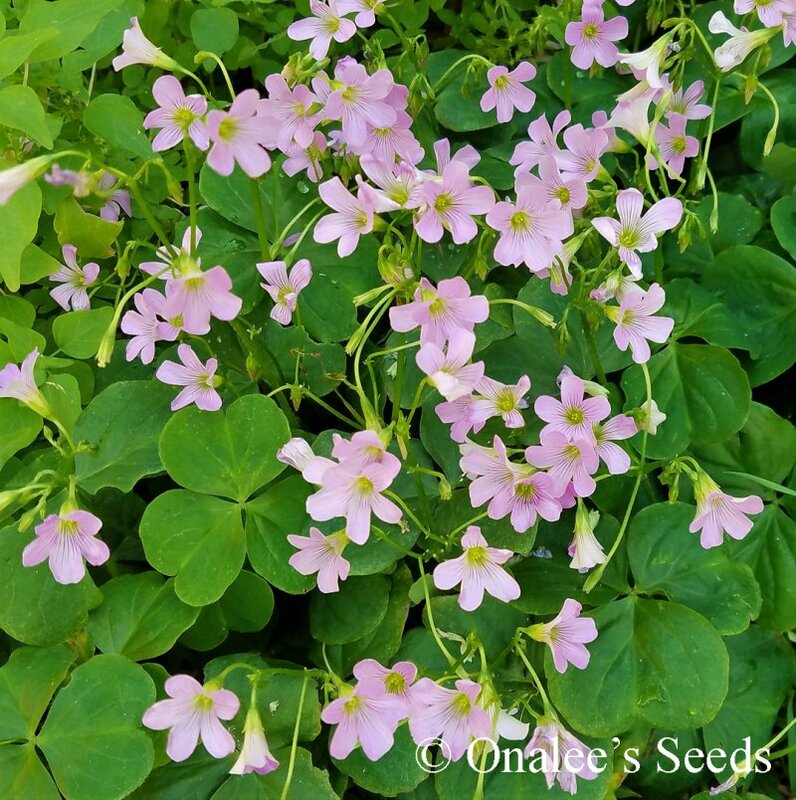 You are buying 5 bulbs of Pink Flowering Oxalis, Wood Sorrel or Shamrock plant. 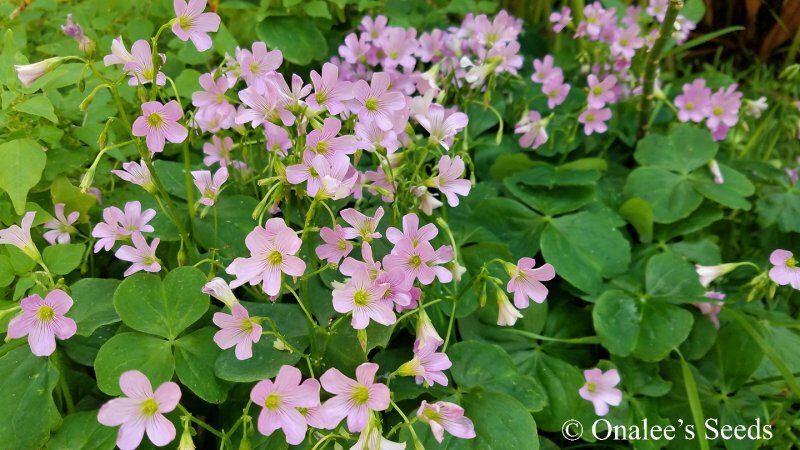 These plants have green, three-lobed, shamrock leaves and the cutest little pink flowers that bloom from spring to fall (or all year long if you bring them inside!). These shade lovers (can also take part sun or even full sun in cooler zones) are so easy to grow it will amaze you! Grow inside or out, they look great to fill in under taller plants or as a container plant all on their own. Bring the 'Luck of the Irish" into your home, office or garden with these neat plants! This many bulbs will make a really nice group in a gallon container or allow room for them to multiply (which they do pretty quickly!) in a 2 gallon container or 10 hanging basket. These are cold hardy to USDA Zone 8. They make EXCELLENT house plants, growing very well in containers at home or the office. (Note: The bulbs for this plant are not suitable for storing, they need to be planted upon receipt).